Seeking God’s Perspective on Common Core Education; Training for our Manufacturing Future? Greg, John, and Pat discuss seeking God’s perspective regarding common core education and what that means for the future of America in regards to employment and manufacturing in America. They further discuss a young man’s explanation of common core education as he shared it with his local school board. They encourage us to get outside of logical view points and understand that God operates outside of our minds. God’s wisdom frustrates men who focus on wisdom from the world. They further discuss how common core education may not be for everyone however it does fill a void for countless unemployed Americans. There are many in our nation that is not working for several reasons. Some can’t find work; some feel like they are too good for certain jobs and many are simply untrained and untaught in skilled labor. All this is happening as we see many manufacturing jobs go overseas to countries like China and India. They further discuss that not everyone in our nation has an entrepreneur mindset and are happy to have any job and simply have a uniform to wear. If we don’t turn to God this may be our very real reality. Instead of all the manufacturing being done in China it could all be done in America for pennies on the dollar. Making more money doesn’t make us more godly; only three percent of the church tithing proves that. We didn’t realize that the redistribution of wealth wasn’t about getting money from people like Donald Trump but instead American citizens money being redistributed around the world. If we don’t humble ourselves and repent before God what we refused to do by choice God will do by force. They encourage us to turn our hearts back to God and seek wisdom on how to honor people all around the world. 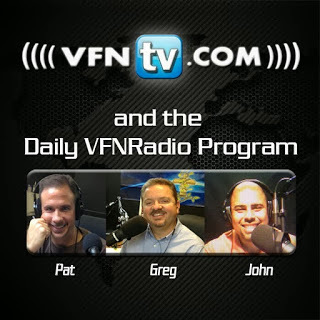 John, Greg, and Pat discuss a new movie to come out in 2014 that is based upon a true story and is adapted from a book that chronicles a young boy’s divine encounter with God. According to the book’s website “Heaven Is for Real is the true story of a four-year old son of a small town Nebraska pastor who experienced heaven during emergency surgery”. One of the things that the young boy, Colton, experience was seeing his sister in heaven who had died in his mother’s womb who he had no natural knowledge of. His encounters are filled with many encounters like that. They further discussed how many want to go to heaven but they need to know how to get to heaven and that’s only by receiving Jesus into your heart as Lord and Savior. They further discussed the untold millions of aborted babies that will be seen in heaven as they encourage us to seek forgiveness from God if we have either had or supported abortions in our past. We will come face to face with the decisions that we have made better to make it right with God now. Heaven is real and you can go there, but you have to choose to want to go there by accepting Jesus into your heart and life.